Copyblogger.com started it all on this particular crazy portion of the journey. It’s constantly evolved over the years, and it’s about to take another giant step forward. 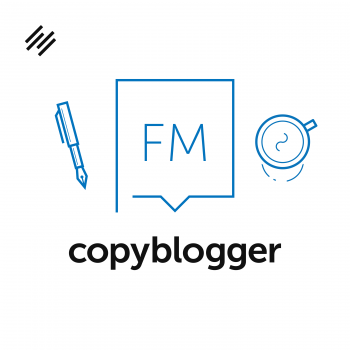 When you strip away the fact that Copyblogger has historically been the mothership platform for our company, you realize that it’s essentially a membership site with free and paid components. The foundational elements of a scalable, replicable membership site model are already in place there. We’ll be talking about that in the future, but first we’re taking it to the next level for our own sites — and that job is in the hands of Pamela Wilson. Pamela has been perhaps the longest-running outside writer for Copyblogger over the years, so we were naturally thrilled when she joined us inside the company. And then she further quickly joined the small lineage of people who have taken on the primary responsibility of running, growing, and reimagining our central content platform. Brian Clark: Hey, rainmakers. 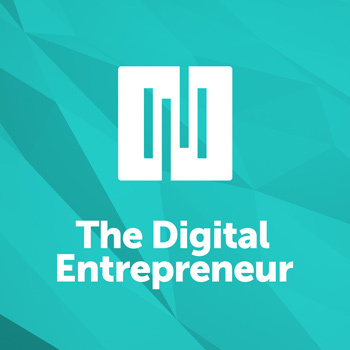 Welcome to another episode of the show that talks all about creating digital products and services for growing your own online empire. 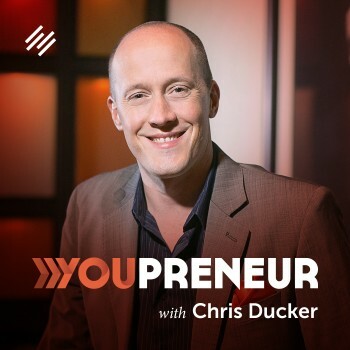 I’m your host, Brian Clark, founder and CEO of Copyblogger Media, and as has been the case lately, I have a co-host, a new voice to listen to, a very smart person, Pamela Wilson. 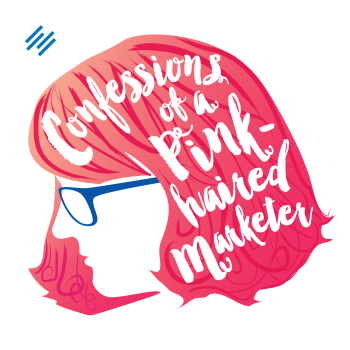 Many of you may know Pamela as, I think, the longest running guest poster on Copyblogger. She contributed from the outside, had her own business for many, many years, and I’m proud to say that now she is on the inside. Pamela, how are you doing? Pamela Wilson: I’m doing great. I’m happy to be here. Brian Clark: I’m happy you’re here, too. All right. Tell everyone what your official title is. I’m actually losing track. We’re growing so fast lately. Pamela Wilson: My official title at the moment is vice president of educational content. It’s specific enough to sound really interesting, but not specific enough to tell you exactly all the little pies I have my fingers in. Brian Clark: You do. When you first came on with us, you were very, very much entrenched helping us out with Rainmaker and getting the onboarding into a better process, and then knowledge base, the video — all of that great stuff. Then you shifted over. Now, that title actually makes sense. We just got together last week in Nashville and had a great meeting. At some point, I think that’s a very descriptive job title for you, but right now, I think it’s easiest to say that Pamela runs Copyblogger.com. She’s the latest in a long line of people. First there was me. Then there was me and Sonia. Then there was Sonia, then Robert. Then Jerod did a year before he transitioned, and now Pamela has taken over that role. The best thing that I could say about this, Pamela, is that everyone who has run Copyblogger is still with the company and in upper management. So congratulations, or don’t screw up — which one do you prefer? Pamela Wilson: That’s a relief that people are sticking around after they’ve gone through what I’m going through right now. Brian Clark: Trial by fire? Pamela Wilson: That’s right. That’s a good sign. Brian Clark: Yeah. I want to talk a little bit about the things we covered at the meeting. It was super productive and, for me, at least, super exciting. Copyblogger’s nine and half years old now. It’s kind of crazy to think about it. We’ve always been good about evolving, both in terms of content, types of content, design especially. We’ve had the same one for a while. We’ll talk about that. I just feel like this one is a really big one. There’s been a lot of things that I’ve wanted to see done over at Copyblogger.com that we just didn’t have time for, so they got put to the side a little bit. Then you came on board, and you said, “I want to do this, this, this, this, and this.” I’m like, “Yes.” You’re like, “Wait a minute. I was expecting more feedback than that.” I’m like, “No, it’s like you read my mind.” It’s so funny that you complain that you would have an idea, you’ll send it to me, I’ll say, “Sounds good,” and then you’re like, “I don’t think he’s even paying attention to me.” But no, you’re on target. Brian Clark: It wasn’t that bad. Pamela Wilson: No, it wasn’t bad at all. 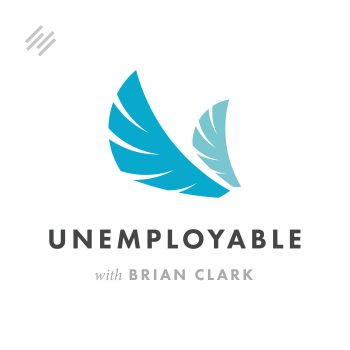 Brian Clark: I think I ended with a smiley face. Come on now. Pamela Wilson: No, and honestly, it was well-deserved. It was something we should have caught. 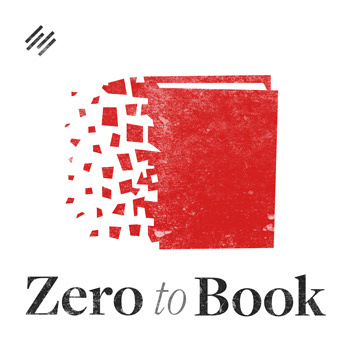 Yeah, I’ve had a lot of ideas, and the interesting thing is, having been a reader for so many years, it feels like a tremendous honor to be in a position to make some of the changes that I would have loved to have experienced as a reader. It’s a wonderful position to be in. I’m excited about all the things we’re talking about doing going forward. Brian Clark: Yeah, I think that’s the perspective that matters and why you were so on point. I don’t know that these things were obvious to everyone, but that’s why they were gnawing at me. The fact that you keyed in on them was just a good sign for me. It just validated that we both were on the same path. Brian Clark: Talking about Copyblogger just a bit, Copyblogger is what started it all, Copyblogger.com. It’s the mother ship of the company and has been. 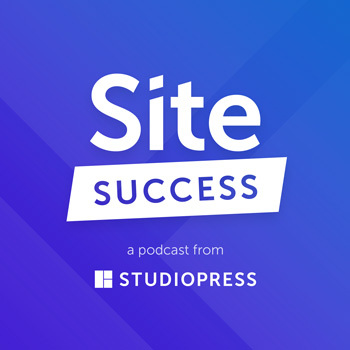 It’s interesting because it’s more important than ever, yet we’re really trying to balance things out between Rainmaker.FM, Copyblogger, and StudioPress going forward, which might lead some to believe that, “Okay, so Copyblogger’s less important.” No, it just means the other two sites need to become as important. Copyblogger will continue to set the standard. That’s really how I view the work you’re about to do. In some sense, we’re trying to take some of that load off of Copyblogger and let it become what it is at its core. 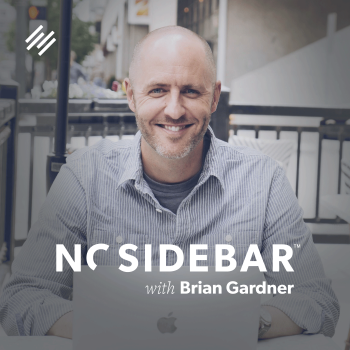 Sometimes people don’t realize it, because we talk about StudioPress, Synthesis, and Rainmaker Platform, but at its heart, Copyblogger is a membership site. It’s a particular model that we started two years ago and then we let stay while we worked on other things. 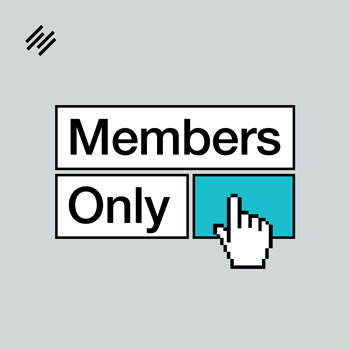 This is an overarching membership model site approach that we’ll be talking about more in the future. It is something that scales, and you can replicate this model. So more on that later. Coming in to Copyblogger, you had to think about even more than that. Any good membership site has its attraction content. It’s got its email capture process, which is in place. It’s got the back-end sale and all that. You’re able to come with some infrastructure built in, yet still have to reimagine how that all works. Let’s talk about content. I think people have been noticing that Copyblogger has rejuvenated a bit in many ways — images, the content, different types of posts that we’ve never done before. I’ll shut up, and you tell us a little bit about what you’ve implemented so far. Pamela Wilson: The first thing to know is that my background is publication design. 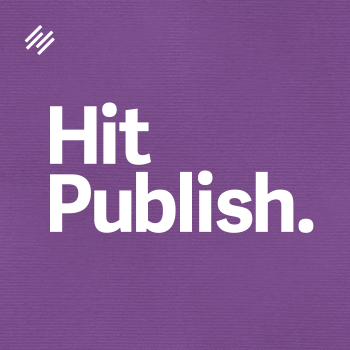 I’ve done that for decades, publication design and putting together publications. I very much see Copyblogger as a publication. It doesn’t have pages that you turn with your fingers, but it’s definitely a publication. I approach it that way in terms of the content that we put on the blog and the way we treat our images. All the elements, in my opinion, are elements of a really good publication. That’s my angle. That’s my approach to everything. The one thing that we have been trying to do lately is to become very clear about the audience that we’re serving. 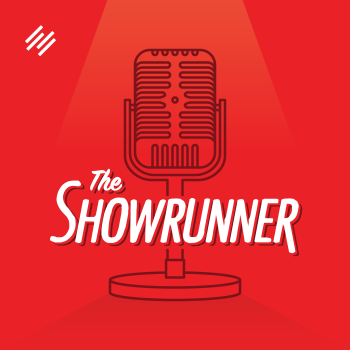 As a business, we’re seeing that the Rainmaker Platform and Rainmaker.FM serve one specific audience, StudioPress serves a slightly different audience, and then Copyblogger serves its own audience. Our audience is people who identify themselves as professional content marketers. They either identify themselves as professional content marketers because 1) they have that as their business and they offer that as a service, 2) they identify themselves as professional content marketers because they are business people who use content marketing in their businesses, or 3) maybe they’re in a large organization and they’re working in the content marketing field. They self-identify as someone who takes content marketing seriously and who uses it within a business context. Those are the people we’re really trying to serve with our content. Brian Clark: Yeah. That’s dead-on. I think that’s been the case, yet we meandered a little. We got a little fuzzy on that. Also, with your background, when I started Copyblogger, it quickly was one of the first people to ever take outside writers, which wasn’t done in blogging at that time. I saw it as a magazine, not a blog, despite the name, yet I had no magazine experience whatsoever. Pamela Wilson: It is. It’s a magazine. There are elements from the magazine world that we can use when we talk about how we put content on Copyblogger. For example, one thing that you see in magazines is, typically toward the front of the magazine, you have columnists. These are people who write for the magazine every month. They have specific voices that people cue into, they relate to, and they enjoy reading. 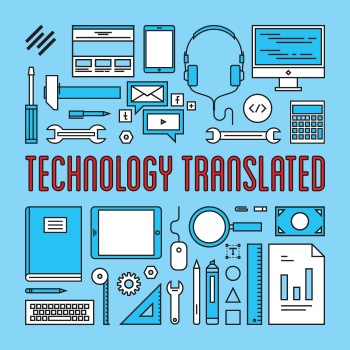 That’s one of the things that we’re trying to feature on Copyblogger — these specific voices. This is our new philosophy about guest posting. We are going away from this model of just taking guest posts from anyone. Instead, we’re trying to develop specific voices that people get to know over time. We’re helping those people to develop voices around topics that they really have expertise in, topics that they’re known for. We’re working with them personally so that we can feature their best knowledge on the blog and develop those voices so that people get to know them over time. Brian Clark: Absolutely. We’ve always been selective about guest posting. Again, going back to that magazine style, not only did I accept them early on, I edited every one myself. Sometimes — dirty little secret — I rewrote certain people’s complete post. These are really well-known people, but they were just a little off. 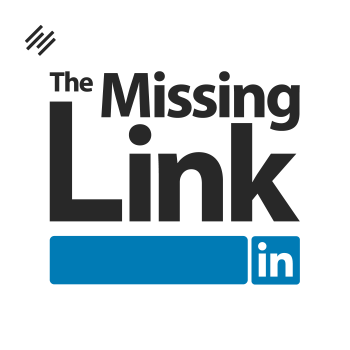 Brian Clark: That’s not a scalable solution. Brian Clark: So you’ve got to have an editorial approach that says, “Okay, if it’s that far off the mark, then we can’t do it,” right? Pamela Wilson: Right. There’s a style to Copyblogger posts that does well, and that’s what we’re always aiming for. There are times that, if you’re just accepting guest posts from anywhere, you end up with this post that you do so much more work on than if you’d just written it yourself from scratch. We need to figure out how to best use our resources. 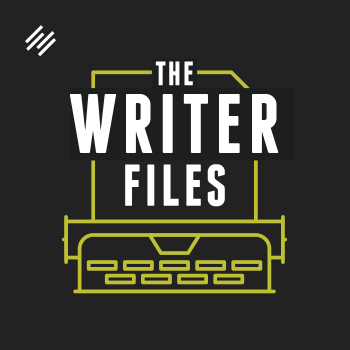 When we thought about it, it seemed to work better to just develop a small group of writers whose work we knew and who had expertise in specific areas that we wanted to be able to share with our readers. Then just work with those people, put them on a schedule so that they knew when they would need to get their piece in. That’s worked really well. He pushed back a little bit, and he said, “Well, this, that,” and I’m like, “No, we got to do something.” I think that was the last I was in it. Then you showed up. Tell us the story. Once it gets turned over and I see that something great happened, I’m happy. I don’t necessarily know how the sausage was made to get to that point. Pamela Wilson: It was interesting because we decided early on that, if we’re going to do these images, we wanted to make them look very custom. The thing that happens with blogs occasionally, especially if it’s a big site like Copyblogger, is you’ll buy an image, you put it up on your site, and then people just pull it off your site. It’s not branded with your name or anything like that. People just pull the image and use it on their own sites or grab the URL to the image if you’re not doing it right and put it on their own sites. It’s not a good idea. We wanted to do something branded. We also wanted those images to be able to stand by themselves in social media and always look like they came from Copyblogger. From a visual standpoint, the way that sausage is made is you choose a set of brand colors. You choose from the colors that you’ve always used on your site, and you choose specific fonts. You do not stray from those two choices. You stick to those colors. You stick to those fonts. It’s just a matter of working within those limitations. When you do that, everything that you put together looks like it came from the same organization. It’s amazing actually. Brian Clark: Branding 101, on one hand, yet not a lot of people were doing it for many, many years. Pamela Wilson: Yes, and that’s something I talked about all the time on Big Brand System. Those are basic building blocks of putting together a visual brand that’s recognizable. We made that decision early on. We have the Copyblogger red, the Copyblogger green, and the Copyblogger blue. We do not vary from those three colors. Then we have our font that we’ve used very consistently. Then, it’s just a matter of picking images that add shades of meaning to the words that are already on the page. You’ll see occasionally we go for humor. You can’t do that every single time, but we go for humor once in a while just to keep them interesting. We try to make them visually interesting and try to get the reader to think a little bit by looking at the image. For example, the one we ran just this past week was talking about landing pages. We have this big jet coming in for a landing. It’s just like a slight shade of meaning that you’re adding to the words. It makes it interesting. Then the other thing that we do — this part I’m doing basically — I’m coming up with text for those images. It’s an opportunity to almost have a second headline at the top of the post. You know how it is. When you choose a headline, you’re choosing a headline, but there are all these other headlines that you’ve had to eliminate. That can be kind of painful. You look at some of these alternate headlines that you didn’t run, and you think, “You know, I wish I’d been able to use that word or that phrase.” This is an opportunity to use an alternate headline and give an additional shade of meaning to the post as well. You’re just adding a little extra text at the top. Brian Clark: Yeah. When I adopted a similar image strategy in the early days of my newsletter, Further, I figured out that I was using these quotes in the content, and then I had my headline. Then I went back to old school with David Ogilvy and then made the image complement the headline with a quote that was relevant. It’s amazing how better it did on social media. It’s not even close. Sometimes 50 times better. That’s crazy. Images matter. I’m a word guy. I tend to neglect that, but I’m definitely being convinced. Let me ask you this before we move on. It’s a natural segue to the site redesign. I noticed that you are using images and maybe the headline, but no link. You’ve got a hashtag that says ‘seen on Copyblogger’ or something like that. You got to tell me about this. Honestly, this is the first time I’m asking her this even though I noticed it. I’m like, “You always have to have a link.” What’s the thinking behind that? Pamela Wilson: Okay. I think what you’re seeing is something that I just started doing recently, and it’s on my personal Instagram account. Brian Clark: Oh, and it’s also posting to Twitter. I got it. Okay. Pamela Wilson: And it’s posting to Twitter, and it’s posting to Facebook, your favorite place. That’s just something I’m doing on my personal account. The thing about Instagram is, on Instagram, you cannot put a link. It’s not an active link. I’m doing those from my phone, so I developed this hashtag, #readitoncopyblogger. What I’m trying to do when I post those is to train people to go to the Copyblogger blog every day to read that day’s fresh posts. That’s a completely separate stream of images that I’m just doing for fun. I apparently can’t get enough of images, so I have to create an extra one. Those are not the post images. That’s a separate thing. The post images go out on Twitter. They look great on social media because we’ve developed a size that crosses all the different social media platforms, doesn’t get chopped up, doesn’t look cropped off, or anything like that. That size seems to work pretty well, and those images stand by themselves. They do have the Copyblogger logo on them. Those always go out with a link. Brian Clark: Okay, makes perfect sense. Okay, design. I would say that the other thing Copyblogger has been known for throughout the years, other than content, obviously, has been design because it’s really important to me. I’m not a designer. I can’t do it, but I can spot it. When I see it, I know it’s good. Back to 2006, with Chris Pearson’s first Copyblogger design, which kind of made his career — and that’s credit to him — it was not like anything else that was being seen in the blogging space. That set a standard. Of course, every design Rafal has done has been amazing and right there at the edge. Maybe not with the coolest hipster designers, but for the rest of us, it’s cutting edge. This is the first time that you took over this project, along with Lauren Mancke. Rafal’s working with me on the Rainmaker side, and we’re redesigning those sites as well. We’ve got our hands full. I got to admit, I saw the mock-ups, and we went through the why and how it all works. Copyblogger’s a complex site. You have Copyblogger, which is the outside. Then you have My Copyblogger, which is the free member area. Then you have Authority, which is the paid member area. It’s not an easy task. We had more mock-ups than I think most ‘blog redesigns’ would ever have. Brian Clark: Give us just a feel for what you’re thinking. What were the challenges that you saw with where we’re at and how you decided to try to fix them? Pamela Wilson: First of all, the current design is amazing. I think most people would be very happy to have a site that looked as good as Copyblogger looks now. That’s the initial challenge –taking a site that is not terrible and then trying to improve on it. The new site is going to be super clean. One of the things that we were trying to accomplish was to make it a really nice reading experience. 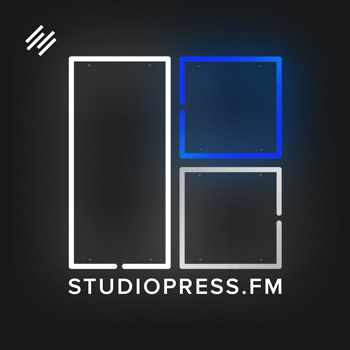 Rainmaker.FM is all about audio. Copyblogger is all about text. We want our readers to be happy and to have a really good online reading experience. It’s going to be a beautiful online reading experience. I can’t wait for that to go live. 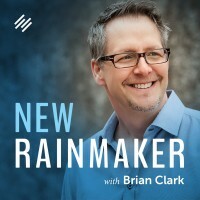 One change from what we’re doing now is that Copyblogger content is going to have its own page, and then Rainmaker.FM audio content is going to have its own page. Brian Clark: Yeah. I was about to say, we’re publishing more content by far than we’ve ever published, but that’s because we added in audio. The way that the site infrastructure is now, we do have some mechanisms to keep the article at the top of the stream and this other kind of stuff. Trust me, going back to that mother ship comment, it’s been very good for Rainmaker.FM to get that kind of exposure from an established site like Copyblogger, but even I was getting a little stressed out about the flow of it. Separate audio channel, separate article channel. Very simple fix, but it’s all in the execution. Pamela Wilson: Right. I just think that’s going to be a nice reader experience. There are some people who like both. God bless them. I don’t know how they have time to consume both, but there are some people who like both the audio content and the reading, text content. For the most part, people prefer one or the other. This is going to make it very easy for them to find whatever kind of content they want to consume on Copyblogger and just go directly to it. There’s going to be a lot to love about the new design. There’s going to be an easy way to filter through our content and learn about something that you’re specifically interested in. If you’re interested in conversion, for example, you can sign up for materials that we are going to put together for you that are all about conversion, that will teach you about conversion, give you all the information you need from our archives, basically to help you understand everything you need to know about conversion. We’ll have segmented information so that people can grab what they need and what they’re most interested in. It’s going to allow us to serve up more targeted content. 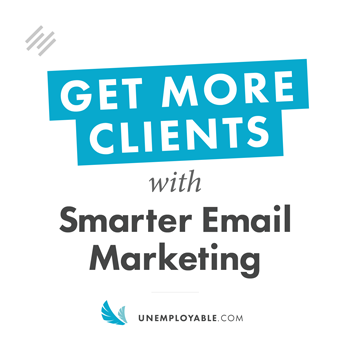 The one thing I hear from people all the time when I talk to them is, “I went into Copyblogger, and you can tell there’s so much information there. It’s just amazing, but I don’t know how to find it.” It’s like being lost in the New York Public Library and not having a Dewey Decimal System or something. You just know there’s a lot there, but you really don’t know where to find what you’re looking for. That’s one of the things that we’re trying to improve on, to make that experience better. But the approach we’re going with now is just so smart on the topical pathway. Ultimately, you may end up in that vast library of great stuff, but it’s also a pathway that allows us to tailor the experience better for you. That’s something we’ve been talking about a lot — the logged in experience, adaptive content, all of that stuff. There is no doubt that we are drinking our own Kool-Aid here. Pamela Wilson: Right. It’s just a better user experience. One of the things that we would like to be able to do is, for example, if somebody raises their hand on the frontend of Copyblogger and says, “I want to learn more about design,” and they give us their email address, we will send them targeted information about design. If, for example, they decide to join our community, Authority, we will give them a targeted experience with all of the paid content that we have inside Authority. When they first log into Authority, we’ll have a lot of audio and webinar content lined up and waiting for them about this topic that they are most interested in. That doesn’t mean that they can’t access the rest of it. It’s just we’re going to create this nice silver platter and hand them over the content that they’ve said they most want to learn. Brian Clark: Yeah. As you can tell, this is going to be a big project. It’s got marketing intelligence, automation involved on the backend, but I just can’t wait to see the new site. It’s beautiful. Pamela Wilson: I know. I can’t wait either. Brian Clark: If only we could just have that first and then work on it. But, I know, we need to do it all at once. 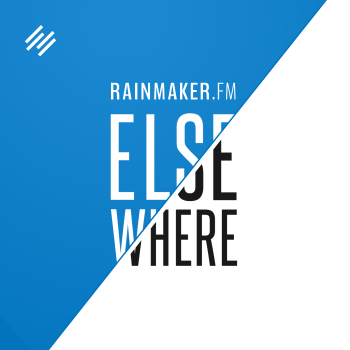 Brian Clark: It’s interesting because I don’t know if Rafal saw what Lauren and you had done, but his new designs for Rainmaker.FM and Rainmaker Platform, they’re not the same. But that use of white space, oh my gosh, it’s just striking. Pamela Wilson: Yeah, it’s like they’re speaking the same design language. I don’t know if they saw it either. I don’t think that they did, though. Brian Clark: I don’t think so. That’s what’s amazing to me because it’s kind of like parallel thinking without talking. Pamela Wilson: We got some design telepathy happening here. Brian Clark: As a business unit, separate from everything else, again, Copyblogger is effectively a membership site. There are free open materials. There’s free behind-the-wall materials, and then there’s 250 hours now of training inside Authority. 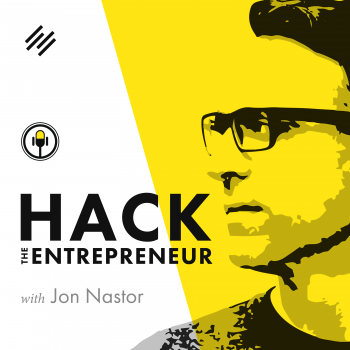 Plus we do two new webinars every month, and we do Q&As every month. It’s always growing. I know you have some ideas for Authority. We kicked around quite a bit. I’m not going to put you too much on the spot, but give us a general idea. What’s going on with Authority? Pamela Wilson: I have a lot of ideas, and we’ll have to see how we can implement them over time. They involve having maybe slightly more compact information — so easier to digest, faster to digest, more targeted content. Maybe doing things like member hot seats. Every time we do anything that is remotely like a website review or really focus on one person’s business, I notice that people get a lot out of it — not just the person whose business you’re focusing on, but everyone else who’s watching. They always take some kind of nugget of information from what that person’s business is going through, or what they’re asking about, and what they’re confused about. I’ve thought about ideas like that. I have a lot of ideas kicking around. I’ve spent a lot of time in mastermind groups. There are elements to those groups that I think that we might be able to apply to Authority that I would love to have a chance to explore. Brian Clark: Yeah. Absolutely. Good closing note here. Pamela lives in Nashville, but I was there for Donald Miller’s StoryBrand workshop, which is fantastic, by the way. We’ll talk about that in the future. Maybe have Donald on the show. But I just launched Unemployable with basically the most basic one-page website in the world. I just threw it up there for the site critiques in a room full of digital marketers just because I love to hear that kind of stuff. Lots of great ideas. Listening to all those website critiques, just to talk about what you just mentioned, about how everyone gets something out of it, it’s true, absolutely. I don’t know if you’ve looked, but I already redesigned the site with Rafal. Pamela Wilson: Oh, I haven’t looked again. That’s great. Brian Clark: I didn’t waste a day until I got started on that. Good stuff. All right, Pamela. Maybe people didn’t even know exactly what you were up to because you’ve been head down since you started working. Obviously, you would have to be to come up with this much output so far, but I think people have a little bit better idea of what you’re up to. When all of this goes fantastically well, make sure you take all the credit. Pamela Wilson: I will. Thanks for giving me a chance to talk about it. Brian Clark: Oh, I’m excited. We had a great meeting, and I just figured there’s a lot of stuff in here that I think, just like a site review of someone else’s site, it just gives people ideas about, “Oh yeah, maybe that’s something I need to look at.” I think it was a good discussion. All right, everyone. Thank you for joining us again this week. We will be back with more soon. Until then, leave us a comment if you have anything to add or ask. Otherwise, Pamela, thank you so much. Brian Clark: All right, everyone, take care.